Inside Criminal Justice, a joint initiative of The Manhattan D.A. 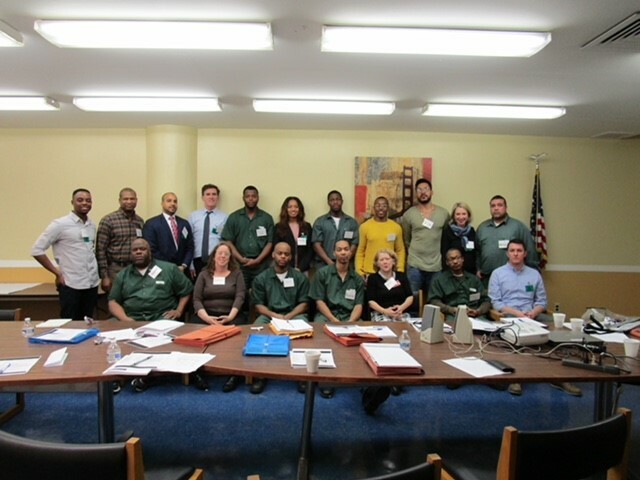 Academy, the Institute for Innovation in Prosecution at John Jay College of Criminal Justice, and the Center for Justice at Columbia University, is a semester-long seminar comprised of individuals incarcerated at Queensboro Correctional Facility and prosecutors from the Manhattan District Attorney’s Office. The course is intended to encourage in-depth and respectful conversation about the criminal justice system, culminating in jointly-authored policy proposals. The objective is to think together about a justice system that emphasizes public safety while supporting healthy development from birth to old age and makes engaged citizenship possible for everyone. The course reviews and integrates current psychological research on the role of social factors in healthy and unhealthy personal, community and societal outcomes and considers how this knowledge can be translated into action to promote personal and societal health. Reading materials and discussion focus on analysis of the criminal justice system and the ways that it affects individuals and communities.